Taiwan Grape ( Cissus quinquangularis ). 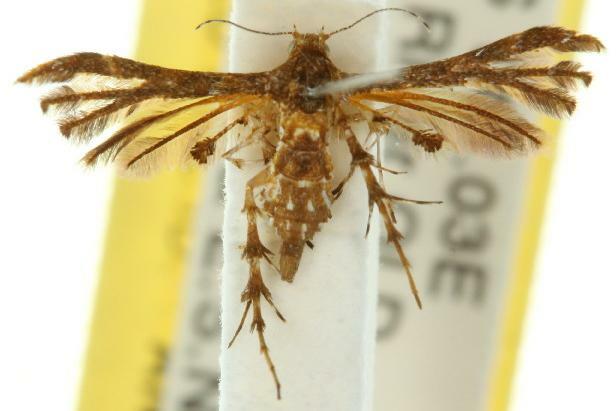 The adult moth has forewings that are brown. The hindwings are brown with orange bases. The abdomen is brown with white markings. 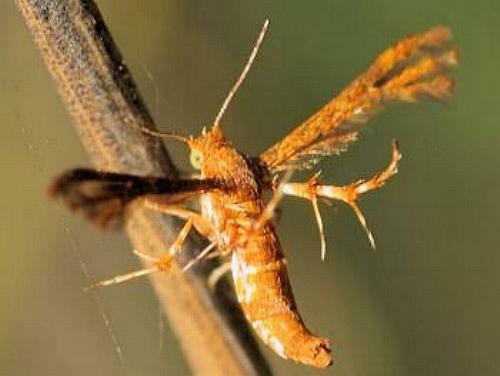 The moth has a wingspan of about 1 cm. Moths of Australia, Melbourne University Press, 1990, Fig. 30.14, p. 332. Volume 1 (1915), pp. 107-108. Volume 71, Part 2 (1907), pp. 31-130, Plate 1.